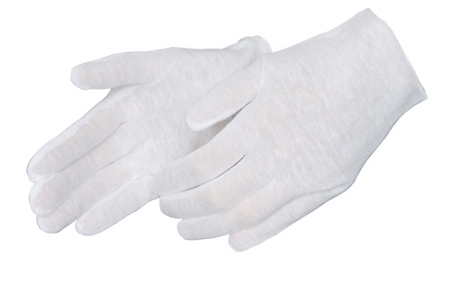 White Cotton Lisle Inspection Gloves Dozen. Standard lightweight. 100% cotton. Reversible. Unhemmed (can be hand washed only). Can also be used on hands after applying lotion at night while you sleep.